TANAHUN, Dec 02 : Gandaki Province Minister for Economic Affairs and Planning, Kiran Gurung, emphasised the operation of the Indra canyoning in Bhimad municipality-9 of Tanahun district in a manageable and commercial way. 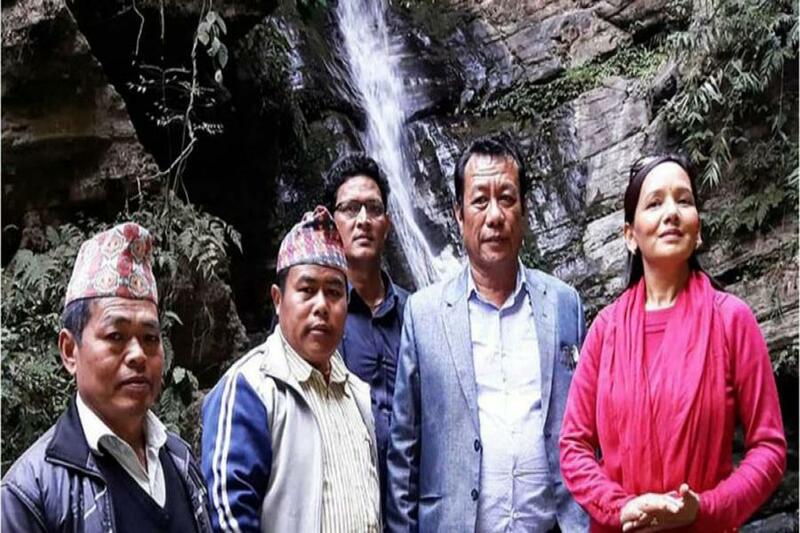 Provincial Minister Gurung made the statement while inspecting the adventure sport which was recently tested successfully by a company, Dreamland Lwang. "Operation of the canyoning was tested successfully. The locals should operate it commercially. The provincial government is always ready to assist in this undertaking," said the Minister on the occasion. He also viewed that prosperity of the province is possible through tourism, while reiterating government’s stand for development. With the objective of developing tourism by connecting it to agriculture, a goat resources center has been established here. According to Ward 9 Chair Iman Singh Thapa, preparations are underway to start 'home stay' services in the village. "We dream developed locality to a model settlement taking agricultural and tourism development together." Rural tourism would see a boost up if the locality could be developed into a canyoning destination. Ten households are preparing to begin homestay services here. Local leader Shiba Kumar Ale said they planned to invite canyoning professionals here to organise a canyoning training. The falls lies in a distance of 23 kilometers from Khairenitar Bazar based in the Shuklagandaki municipality. It takes an hour motorcycle ride from Khairenitar to reach the falls. The seven-kilometer road up to Bhimad is pitched and the remaining is graveled.